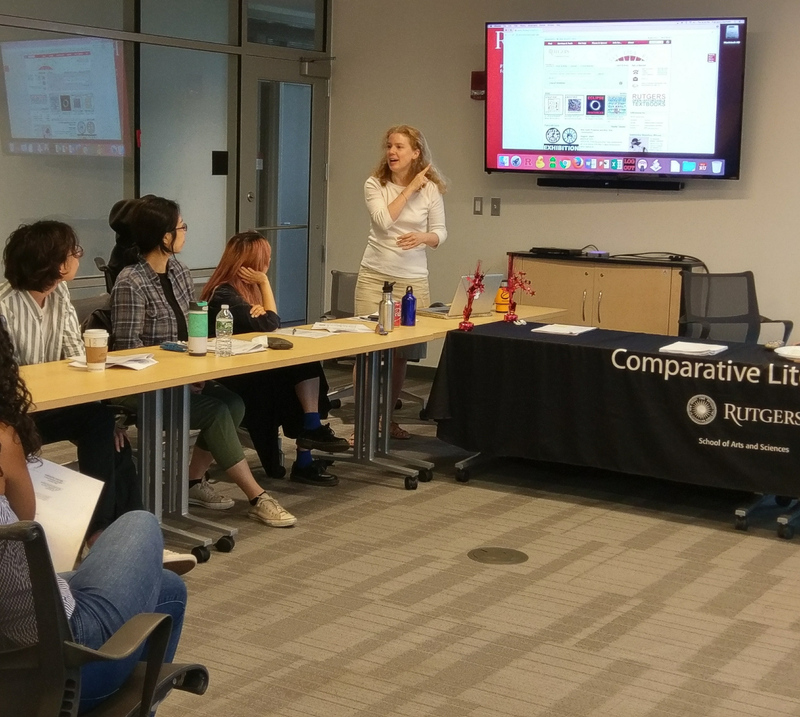 COMPARATIVE LITERATURE at Rutgers is a thriving interdisciplinary program offering a multi-tracked undergraduate major and minor and an innovative, wide-ranging doctoral program. Comp Lit students consider texts and performances across multiple languages, histories, disciplines, and media. Students who speak languages in addition to English find our program an especially congenial place in which to read, watch, think, and create. Each of our majors or minors constructs a unique course of literary, linguistic, and cultural study with the supervision and support of our distinguished faculty. Well known for its emphases on critical thinking and incisive writing, Rutgers Comp Lit seeks to prepare its students for the diverse world we commonly inhabit. Our graduates contribute significantly to the professions, the arts, education, and the global media. Recent PhD's are employed as full-time faculty at many domestic and international institutions, including Emory University, Institut des Hautes Études des Communications Sociales (Brussels), KU Leuven, LaGuardia Community College, Princeton University, Taipei Medical University, and the University of Utrecht. Prof. Diamond was a pioneer in the global study of women's expressive cultures and, for many years, Comp Lit's graduate director. A memorial service is being planned -- former students are encouraged to share reflections about their work with her. Please contact andrew.parker@rutgers.edu for details. You can find the Call for Papers here. The last day to submit abstracts is December 15, 2017. Congratulations to 2016 PhD BEN DE WITTE, now a Doctor-Assistant in the Research Unit on Translation and Intercultural Transfer ("Vertaling en Interculturele Transfer") at KU Leuven in Belgium. Veel succes, Ben! Rutgers Comp Lit participates in this initiative as a member of the International Consortium of Critical Theory Programs (ICCTP), co-directed by Judith Butler (UC Berkeley) and Penelope Deutscher (Northwestern). For further information about the Rutgers-UNAM collaboration or the ICCTP, please contact Andrew Parker, the principal investigator for the Rutgers Mellon Grant, or go to http://www.criticaltheory.northwestern.edu/mellon-project/critical-theory-in-the-global-south/. ... and like us on our Facebook page!